With the just-announced watchOS 5, Apple’s emphasis is largely on fitness, which has become a key reason for the Apple Watch’s success. But the company also revealed new communication, entertainment, and information-consumption capabilities. 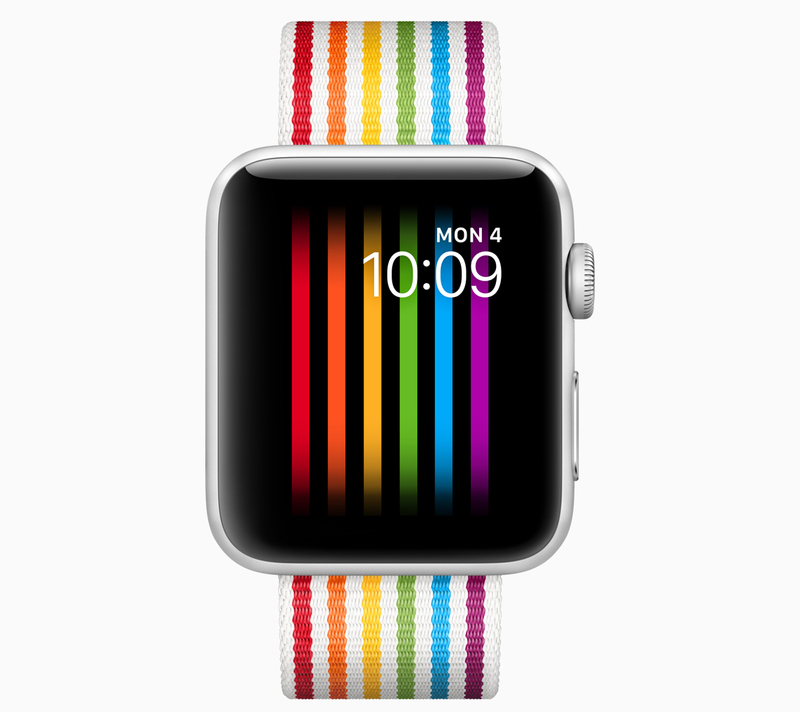 As a bonus, it announced a couple of goodies (not dependent on watchOS 5 and immediately available) that support a pet Apple cause, LGBTQ pride. The Apple Watch is already a superb fitness device, so the promised features aren’t game-changing, but make it more useful for current users while looking to woo new kinds of athletes. Fresh features include Activity Competitions, which let exercise-focused groups of friends compare notes and challenge each other. 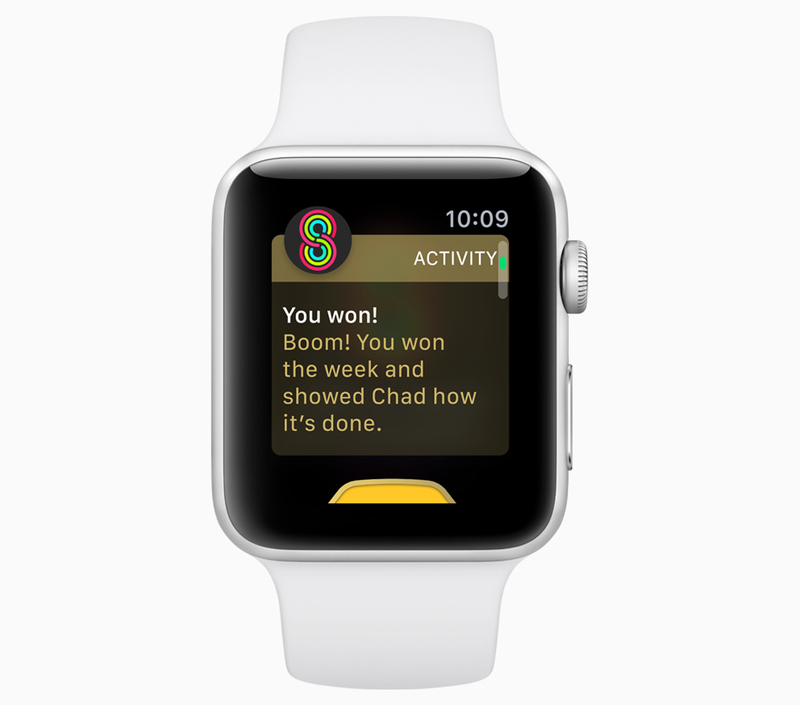 The competition feature in watchOS 5 enables users to invite each other to participate in seven-day Activity contests while receiving coaching notifications and earning points for closing Activity Rings. For those who regularly forget to begin a workout from the Workouts app, the watch now can nudge you with an alert to start the correct kind of workout and provide retroactive credit for the exercise you’ve already done. 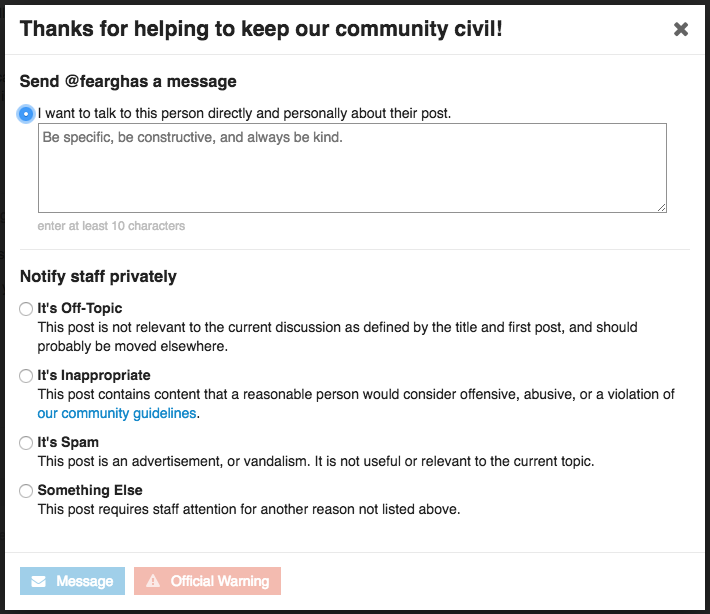 Users will also be reminded to end their workouts in the app when they’re finished. There are new kinds of fitness regimens in the Workout app, too, including Yoga and Hiking, each with their own metrics. 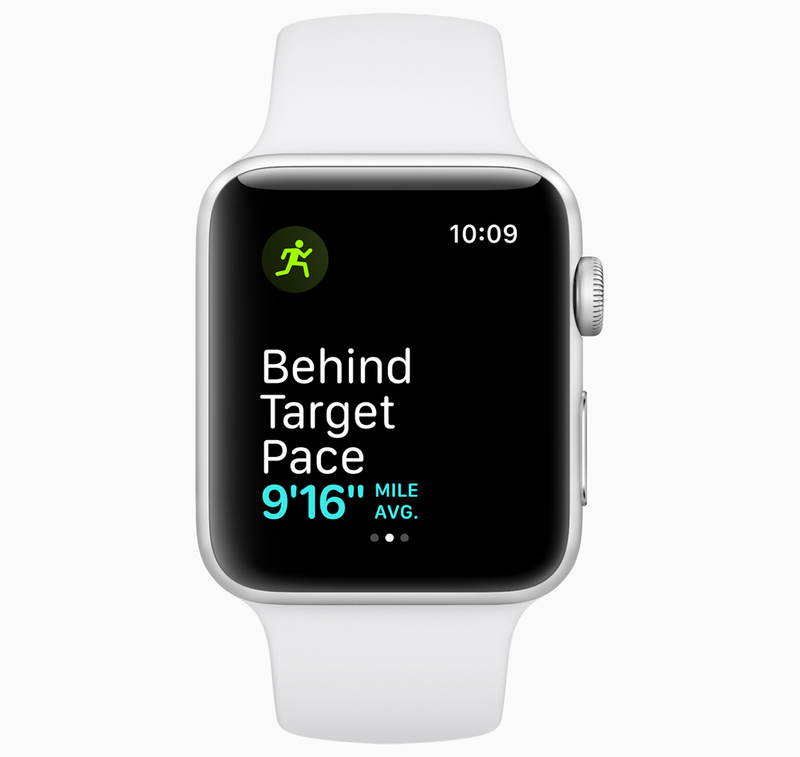 Speaking of metrics, the Apple Watch will now measure cadence (steps per minute) for those engaged in indoor and outdoor runs and walks. For those running outdoors, it will also provide a pace alarm to flag whether your workout is behind or ahead of a designated target pace. There is a new metric, too—called rolling mile pace—for runners to see their pace for the immediately preceding mile in addition to their average or current paces. Kids love walkie-talkies. Now Apple Watch users of all ages can get in on this fun. 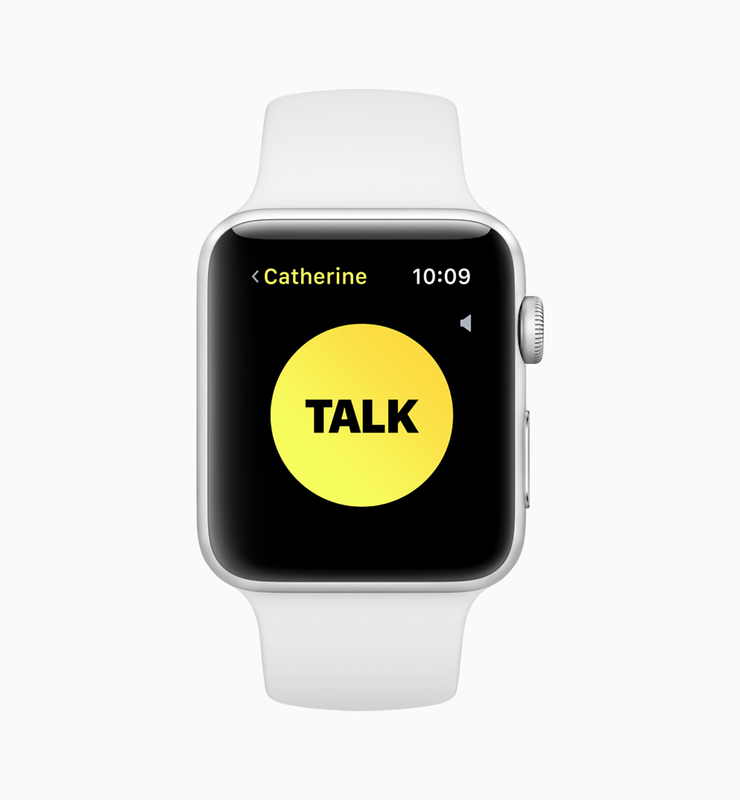 The brand new Walkie-Talkie app is the height of simplicity—it just has a big, yellow Talk button. When users fire up the app, they’ll see lists of Apple Watch users with whom they often swap email, texts, or voice calls. Any user can then be invited to have a half-duplex voice conversation via taps on the Talk button. This feature works over cellular data and Wi-Fi. 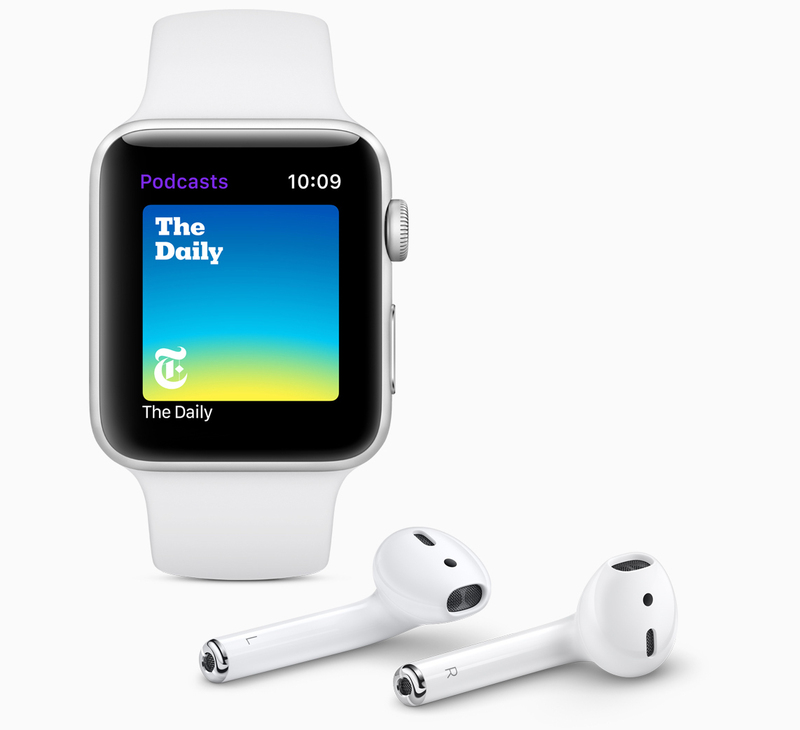 Listening to podcasts directly from the Apple Watch has until now tended to be a challenge, spawning a number of third-party apps for this purpose (see “Five Apps That Play Podcasts Directly from Your Apple Watch,” 9 April 2018). The absence of Apple’s Podcasts app for the Apple Watch seemed like a glaring omission. Now that gap has been filled. The watchOS 5 version of the Podcasts app will sync with the iOS versions, and will automatically refresh with the latest episodes of subscribed shows. Users also will be able to summon podcast content with Siri commands. In a broader audio sense, watchOS 5 will improve how users listen to music, audiobooks, and meditation sessions. Content from apps like Pandora, Audible, and 10% Happier will sync from your iPhone to your watch for offline playback away from the phone. Third-party support for background audio playback also is on board, so look for more things like independent podcast apps for watchOS. 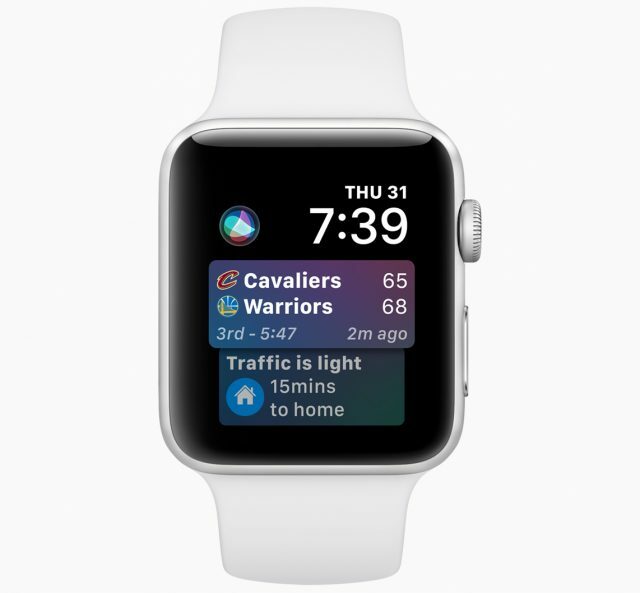 The Siri watch face, with its rolling queue of tidbits, will gain some smarts, anticipating information users require based on routines, locations, and health information. Think heart-rate readings after a workout, commuting times via the Maps app, remote activation of HomeKit scenes, reminders about favorite commuting playlists, and scores from favorite sports teams. The Siri watch face also will embrace third-party apps such as Nike+ Run Club, Glow Baby, and Mobike by incorporating information from them in its rolling alert queue. Notifications will be more feature-rich, too. Built-in interactivity will let users, for instance, tap to check in for a flight, change a restaurant reservation time, or extend parking-meter time via relevant third-party apps. In addition, multiple notifications from one app will be grouped together for less scrolling. 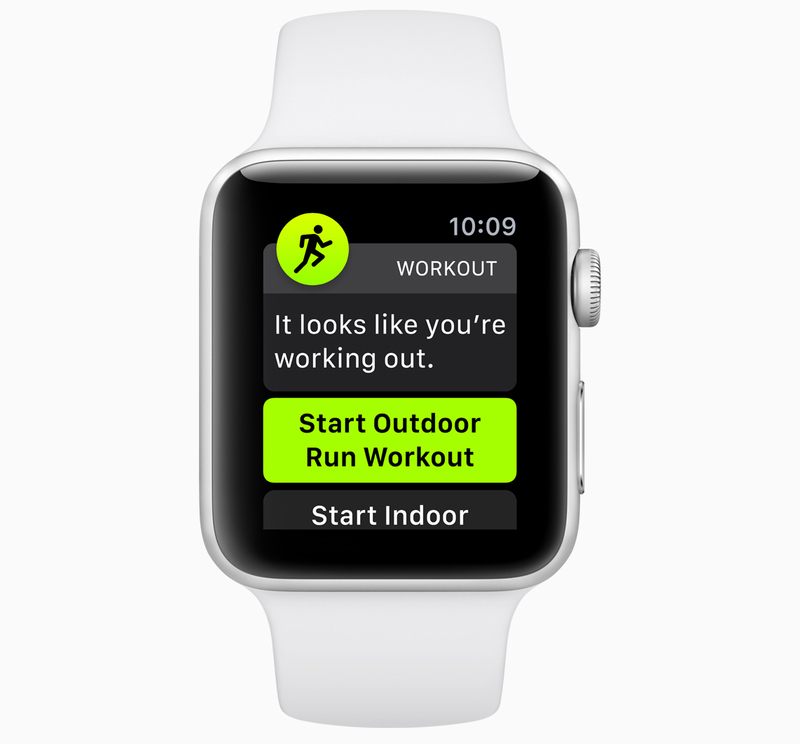 Web content is finally viewable on the Apple Watch, albeit in a limited way. You will be able to customize Do Not Disturb by time and location. 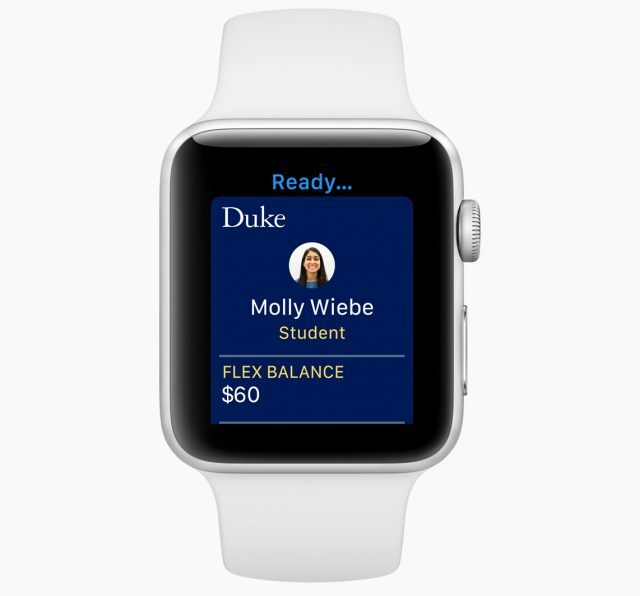 It makes sense that early-adopter, Apple-enthused college students would embrace the Apple Watch, and it better caters to their needs. 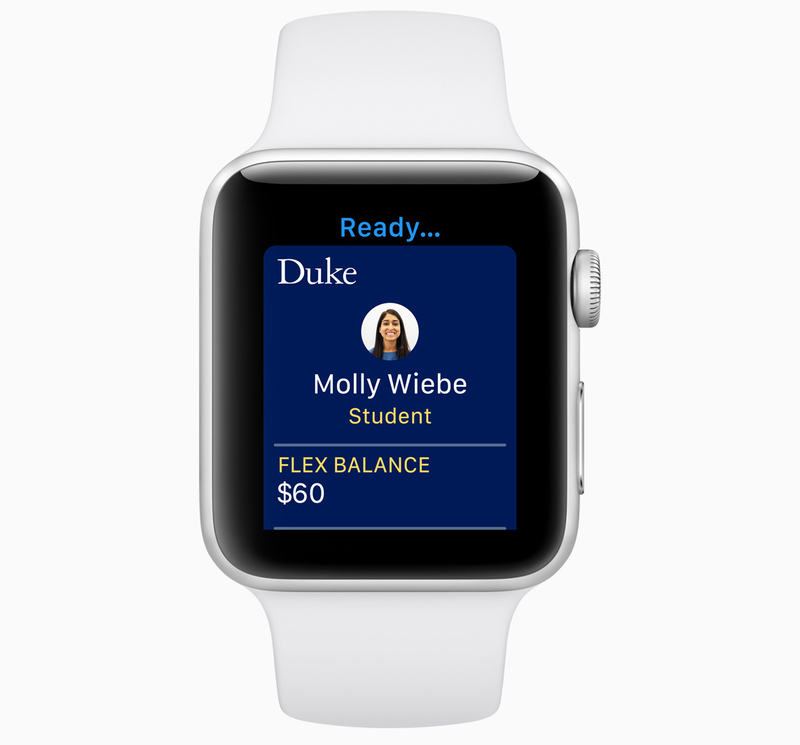 With watchOS 5, the watch can now serve as an electronic ID card (initially at only a handful of U.S. universities) for dorm access, meal or snack payments, laundry-machine sessions, and the like. Along with the upcoming features in watchOS 5, Apple provided a couple of immediately accessible goodies for those marking LGBTQ History Month. There’s a new rainbow-colored watch band—complementing a similar one released in 2016—and a matching watch face that should be available as of this writing. Proceeds from sales of the watch band go in part to a number of LGBTQ advocacy organizations. Apple also released new standard new bands with summer-themed colors such as Marine Green, Peach, and Sky Blue. watchOS 5 will be available “this fall”—likely in September—as a free update for Apple Watch Series 1 and later, and it will require an iPhone 5s or later running iOS 12. watchOS 5 will not be available for the original Apple Watch, which may make the people who bought the $17,000 gold Apple Watch Edition models sad. 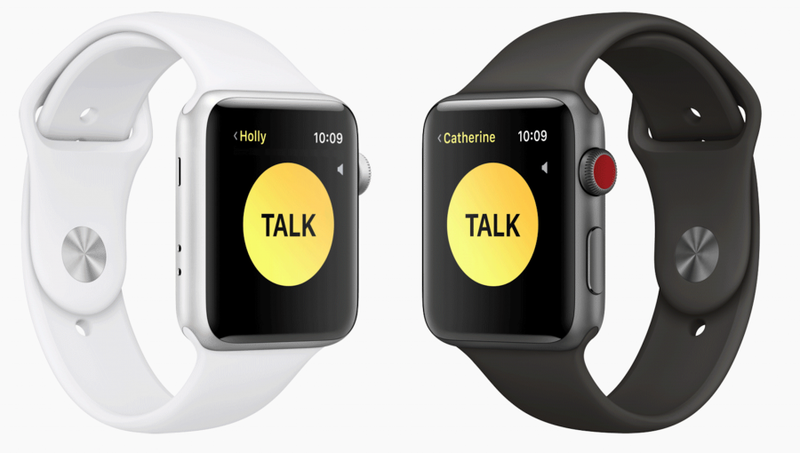 Looks like Walkie-Talkie won’t work on 1st gen Watch. watchOS 5, generally, won’t work on the first-gen (Series 0) Apple Watch. And since iOS 12 will probably require watchOS 5 to work with Watches, those of us who bought the first model are SOL! For a $300 (!) wrist watch that only tells the time when you shake it, a Series 0 should be supported a bit longer, IMO! SOL indeed! My husband just get the OS5 update notice on his Watch. Am I correct in assuming that while Walkie Talkie won’t work, at least most of the other stuff in the upgrade will? This has not been the case previously. There have been people running watchOS 3 paired with iOS 11 just fine. Of course the opposite is the case; you must have iOS 12 to run watchOS 5. Anybody who could answer that would be breaking an NDA as IOS 12/Watch OS5 are still in closed beta. I believe Discourse intentionally hides the email address in email versions of the message to increase privacy and reduce spam problems. 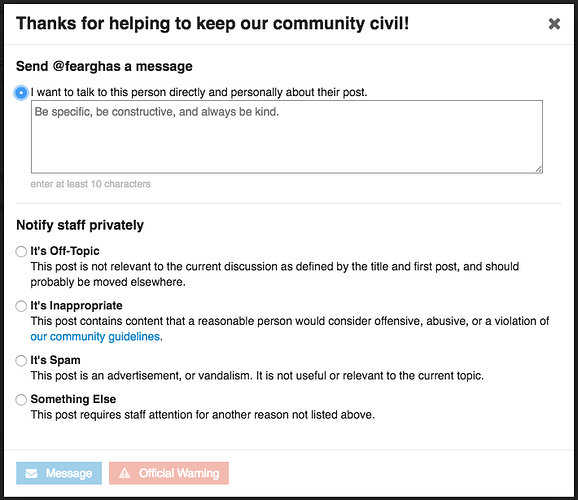 You can always click through to the message in Discourse and reply privately by clicking the … button to get more controls and then clicking the flag button. Then, to check messages (you’ll get an email notification too in all likelihood), click your avatar icon and click the envelope button.